Sue is the Head Coach of Macclesfield Masters. She is a fully qualified swim coach, with a wealth of experience and knowledge to draw upon. Each session Sue provides detailed workout for the all swimmers, tailored to the swimmer’s ability. 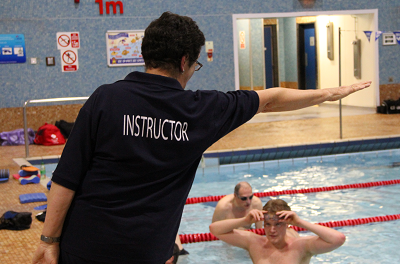 Sue is also a fully qualified swim teacher and has the ideal temperament, and insight, to help those swimmers who might still be learning and looking to improve their strokes.